+ On the Air: Saddle Up for the 2010 CW Rookie Roundup! + Get Ready for the January Issue of QST! A secondary allocation to the Amateur Radio Service at 461-469 and 471-478 kHz gained inter-American support in meetings held earlier this month in Bogota, Colombia, with the Permanent Consultative Committee II of the Inter-American Telecommunication Commission (CITEL) adopting the US position for the MF allocation. 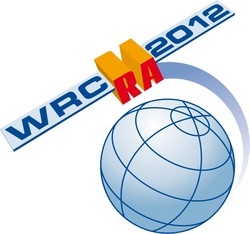 World Radiocommunication Conference 2012 Agenda Item 1.23 calls on participants "to consider an allocation of about 15 kHz in parts of the band 415-526.5 kHz to the Amateur Service on a secondary basis, taking into account the need to protect existing services." Read more here. Grab your paddle and mosey on into the ARRL CW Rookie Roundup! The ARRL's newest on-the-air operating event is designed to help newly licensed amateurs build their operating skills on HF. Three Rookie Roundups -- one each for SSB, RTTY and CW -- are held each calendar year. The CW running of the Rookie Roundup will take place Sunday, December 19 from 1800 UTC through 2359 UTC.This is a contest specifically for those new to Amateur Radio, similar to the ARRL Novice Roundup that ran from 1952 until 1995. The Rookie Roundup combines a competitive event with some on-the-air training, bringing the fun and Elmering of the old Novice Roundup into the 21st century. The Rookie Roundup is a single-operator event only. Stations are allowed a maximum of 100 W. Elmering is encouraged and use of spotting networks is allowed. Read more here. The new General class question pool is valid from July 1, 2011 through June 30, 2015. The Question Pool Committee (QPC) of the National Conference of Volunteer Examiner Coordinators (NCVEC) released the new General class (Element 3) question pool on Tuesday, December 7. This new question pool -- including graphics and diagrams -- will become effective for all General class examinations administered on or after July 1, 2011; it will remain valid until June 30, 2015. The current General question pool that became effective July 1, 2007 will expire June 30, 2011. The new General pool contains 457 questions, from which 35 are selected for an Element 3 examination. The current Technician class question pool that was effective July 1, 2010 is valid through June 30, 2014. The current Amateur Extra class pool that was effective July 1, 2008 is valid until June 30, 2012. Antenna tuners are devices often misunderstood in the Amateur Radio world. While not every station requires an antenna tuner to transmit radio signals, without one an incompatibility between the transmitter and the antenna system can result in poor performance. The ARRL Guide to Antenna Tuners: A Radio Amateur's Guide to Antenna Matching by Joel R. Hallas, W1ZR, will help you understand how to select the right tuner for your needs and how to use it in your shack. The ARRL Guide to Antenna Tuners discusses the details of the different configurations and requirements of antenna tuners. It explores the design, construction and applications of the different types available. You'll be able to determine if one is necessary in your station, what type of tuner is needed and where to install it for maximum improvement. 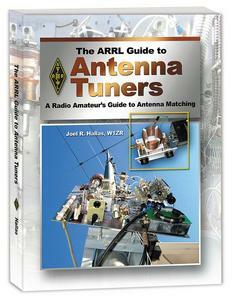 This book will give you a better understanding of your antenna system and the way it can be improved through the selection and use of the appropriate antenna tuner. Read more here. The January issue of QST is jam-packed with all sorts of things that today's Amateur Radio operator needs. From product reviews to experiments to contesting -- including a look at a number of do-it-yourself (DIY) projects -- the upcoming issue of QST has something for just about everyone. If you are contemplating building your own ham radio gear, chances are that you're going to have to bring out the soldering gun. But is there another way? In his article "Reflow Soldering for the Radio Amateur," Jim Koehler, VE5FP, talks about how he found it easier to assemble a PC board using surface mount components instead of through-hole parts using reflow soldering. With this method, a PC board -- with the surface mount components held in place with solder paste -- is placed in an oven where it is heated, turning the paste into liquid solder; after the board cools, the solder solidifies again. Koehler says that because all the soldering is done at the same time, it is a very quick process. Hams have a long tradition of making their own antennas, accessories and equipment -- but you definitely need the right tools for the job at hand. QST Technical Editor Joel Hallas, W1ZR, takes a look at some tools that you should have in your shack -- from soldering tools to test equipment to socket drivers and wrenches -- if you are looking to try a homebrew project. Who says you need a giant dish and expensive equipment to "ping" the Moon? Bob Baker, KD3UY, shows how you can do "Moonbounce on a Budget" to describe what you actually need -- and don't need -- to make that first Earth-Moon-Earth (EME) contact. Take a look at the Yaesu FTM-350R dual band FM transceiver, featured in January 2011 QST's product review. Click here to go to the QST Multimedia page and scroll down to the Product Review video. Click the "Play" button to watch the video. ARRL Contributing Editor Howard Robins, W1HSR, takes a look at the Yaesu FTM-350R dual band FM transceiver in this month's Product Review. He calls it "a top-of-the-line mobile FM transceiver with well thought out controls. It offers some unusual features, such as 222 MHz transmit and a stereo FM broadcast receiver, as well as options such as APRS and Bluetooth connectivity." ARRL Technical Advisor Bruce Prior, N7RR, checks out the Begali CW machine. He says that it is "more than just a keyer and offers a wide range of features for on-air CW operation and off-air Morse code training." Of course, there are the usual columns you know and expect in the January QST: Happenings, Hints & Kinks, The Doctor Is IN, How's DX, Vintage Radio and more. Look for your January issue in your mailbox. QST is the official journal of ARRL, the national association for Amateur Radio. 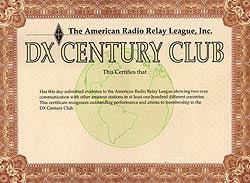 QST is just one of the many benefits of ARRL membership. To join or renew your ARRL membership, please see the ARRL Web page. ARRL Headquarters will be closed Friday, December 24 and Friday, December 31 in observance of Christmas and New Year's Day. There will be no W1AW bulletins or code practice transmissions those days. There will be no ARRL Letter or ARRL Audio News on Thursday, December 23 and 30. We wish everyone a safe and joyful holiday season and a prosperous 2011. ARRL DXCC Manager Bill Moore, NC1L, reports that eight operations in Africa -- 9Q/DK3MO (Democratic Republic of the Congo), 3C0C (Annobon), 3C9B (Equatorial Guinea), 3V9A (Tunisia), 3V0A (Tunisia), TS7TI (Tunisia, also includes /p operation), TS8P (Tunisia, also includes /p operation) and TS9A (Tunisia) -- have been approved for DXCC credit. All operations -- with the exception for the 9Q/DK3MO -- are 2010 operations. The 9Q/DK3MO operation is good for operations commencing in 2007 through the present. Read more here. The Sun, as seen on Thursday, December 9, 2010 from NASA's SOHO Extreme Ultraviolet Imaging Telescope. This MDI (Michelson Doppler Imager) image was taken in the continuum near the Ni I 6768 Angstrom line. The most prominent features are the sunspots. This is very much how the Sun looks in the visible range of the spectrum. 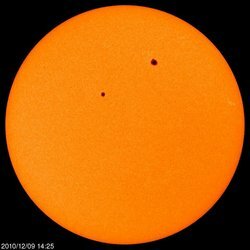 Tad "Lost in their overcoats, waiting for the Sun" Cook, K7RA, reports: The average daily sunspot numbers for the week were up more than nine points to 35, and the average solar flux rose more than six points to 87.3. These changes compare the dates of December 2-8 with the previous seven days. The average planetary A index declined 2.5 points to 2.1, while average mid-latitude A index dropped 1.1 points to 1.6. These are nice numbers, with higher sunspot numbers accompanied by lower geomagnetic indices. The predicted solar flux for the near term is right at the same level as the average for the past week, at 87 for December 9-14, followed by 85, 83, 81 and 80 for December 15-18. The predicted planetary A index for December 9-13 is 5, 8, 10, 10 and 8, followed by 5 for December 14-18, and possibly out to December 23. Note the period of slightly unsettled geomagnetic activity centers around this weekend, the dates for the ARRL 10 Meter Contest, December 11-12. But only a mild increase in geomagnetic activity is expected. This year's event is the first time that Mexican states will be counted as multipliers along with US states and Canadian provinces, as well as DXCC countries. You can see a map of the 32 Mexican states here. Look for more information on the ARRL Web site on Friday, December 10. For more information concerning radio propagation, visit the ARRL Technical Information Service Propagation page. This week's "Tad Cookism" is brought to you by Simon and Garfunkel's Old Friends. Four new poll questions have just been published on the QuickStats page on the ARRL Web site. Let your voice be heard! Do you use CW on a regular basis? If your out-of-warranty transceiver failed, what would you do? Does your ARES® group use the ARRL Public Service Activity Report form to document SKYWARN activity? Visit the QuickStats page and be sure to bookmark it in your browser. Results from this QuickStats poll will be published in the March 2011 issue of QST on the QuickStats page, located in the rear advertising section of the magazine. Along with monthly poll results, QST QuickStats offers colorful charts and graphs that highlight interesting Amateur Radio statistics. 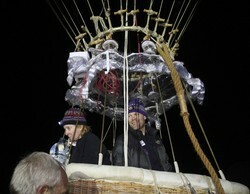 Richard Abruzzo, KC5VWK (right), and Carol Rymer-Davis in the gondola of their balloon, just before taking off in the 54th Gordon Bennett Gas Balloon Race from Bristol, England. The bodies of famed hot-air balloonist Richard Abruzzo, KC5VWK, of Albuquerque, New Mexico, and a companion were discovered on Monday, December 6 deep underwater off the coast of Vieste, Italy. Abruzzo, 47, and Carol Rymer-Davis, 65, of Denver, Colorado, had been missing since September 29 when they lost contact with officials during a balloon race, after their balloon made a rapid descent during rough weather. Read more here.